sunlight or next to electrical devices which may reduce its potency Safely handle Ormus Minerals Ormus as you would any agricultural fertilizer. greater... Some growers even get yields 2 to 3 times greater! the grower some tolerance when grown with hydroponic systems if there happens to be some kind of mechanical failure that isn't corrected right away. eruption nears 100% and vigorous root growth is quickly seen. 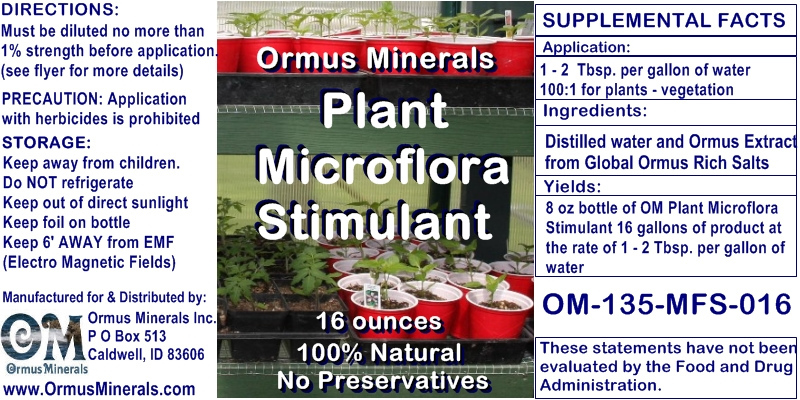 right now than the addition of monatomics found in Ormus Minerals Ormus to your grow arsenal. Rhodium, Iridium, Palladium, Silver, Osmium, Platinum and Gold. healthier more vibrant and productive plant. These elements are commonly referred to as Sea-11 or C-11. Directions For Use of Ormus Minerals Ormus The concentrated Ormus product must be diluted to no more than 1% strength before application. Normal or slightly reduced application rates of nitrogen, potassium and phosphorus are recommended for crops that have received an Ormus treatment. 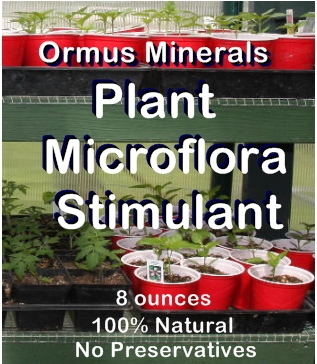 handle Ormus Minerals Ormus as you would any agricultural fertilizer. not be applied to dry soil unless heavily diluted. gallon equals a ~0.9% solution. Garden Produce: Apply 1 to 2.5 gallons of Ormus concentrate per acre. Trees and Orchards: Medium size trees (size 3-6 feet): use 3 oz Ormus per tree not to exceed 5 gallons per acre. Large trees (size 6-12+ feet): use 5 oz Ormus per tree not to exceed 6 gallons per acre. No more than a few drops a day in the drinking water for household pets. For livestock, use one ounce in 5 gallons of drinking water. water. If in an intensive grow operation, use twice to three times per crop. begins and then again about half-way through the fruiting season. addition of ORMUS to your growing arsenal!